The roots of history run deep through New Jersey’s soils. Many of its wineries and vineyards are perched atop this tangled past of colonial, Revolutionary, agricultural and economic antiquity which collectively give New Jersey an incredible historical heritage to boast about. These elements come together at a most special property in NJ wine country- the Giunco family farm in Colts Neck, Monmouth County- Four JG’s Orchards & Vineyards. The eponymous moniker comes the initials of proprietors Janet & John Giunco, and their children John and Jill. The original farmhouse and barn date to 1727, with some of the original flooring believed to be intact. The handsome colonial has original brick as well, having been pilfered from the ballast of sailing ships otherwise unneeded after cargo was loaded for the trip back to Great Britain. The house was built before masonry and brick production began in New Jersey, after all. The history runs deeper. Alongside the Big Brook that borders Four JG’s to the north is the retreat path of General Clinton who marched the British army on retreat to Sandy Hook with the Continental Army chasing behind. The Giunco’s Chardonnay, Chambourcin, and Cabernet Franc vines are planted just a few miles from the battleground of Monmouth, where the American patriots won their first battle of the Revolutionary War. 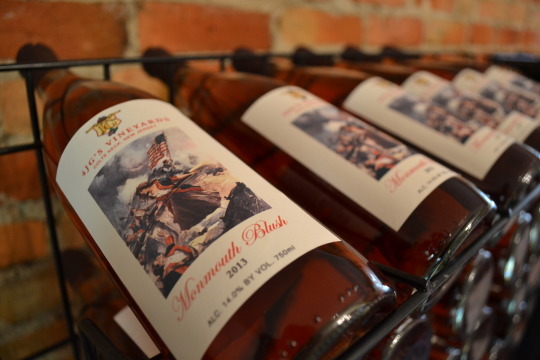 It is quite appropriate then, for Four JG’s signature estate Chambourcin bottle to carry the name “Patriot.” You can’t miss this layered, rich, spicy NJ Chambourcin, wearing a label depicting the Battle of Monmouth. 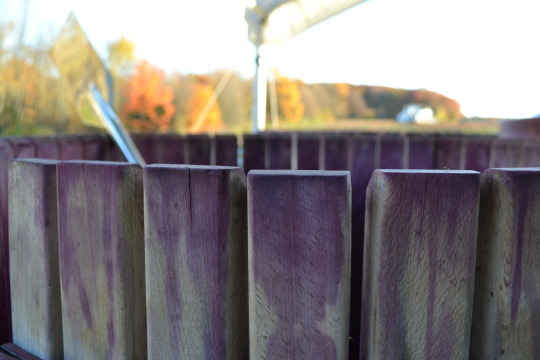 An easy drinking red blend, “Big Brook” is named for the creek adjacent to the property. The 2014 ‘Celebration’ Chardonnay is mineral-driven and stylized in the fashion of Chablis under the deft touch of winemaker Craig Donofrio. Donofrio has serious wine knowledge- he has achieved Advanced Sommelier status from the Court of Master Sommeliers. After being paramount to the revitalization of Charleston, SC’s wine culture for many years, he was scooped up by Red Bank’s famed Restaurant Nicholas upon returning to New Jersey. Besides making wine for Four JG’s, Donofrio writes, photographs, and teaches wine- complete immersion! Every bottle at Four JG’s is estate grown and bottled. 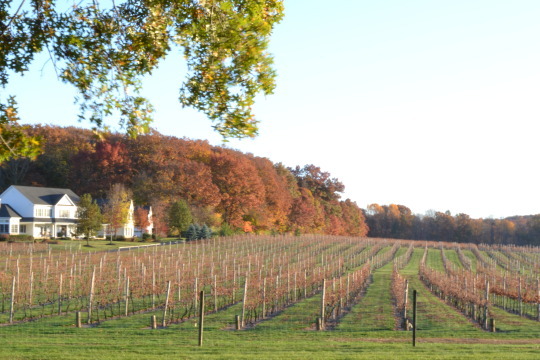 The boutique producer makes 1,500 cases per year; their 40 acre vineyard in the top right corner of the Outer Coastal Plain AVA supplies grapes for many other wineries across New Jersey as well. Janet and John opened the winery to the public in 2003 after planting the vineyard in 1999, making them the 17th winery to open in New Jersey. Four JG’s is open on Saturdays and Sundays through December, and reopens in the springtime. This weekend, November 7 & 8, visit between 12 and 5pm for their “Soup and Sip Weekend,” where each wine will be specially paired with a delicious fall soup. The firepit will be crackling, and the last color of the Maple and Beech tree that dot the property will offer a picture-perfect fall setting in Monmouth County. 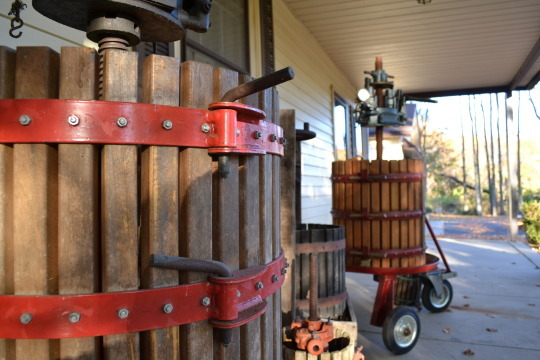 When you walk up to the tasting room entrance, take a peek at the collection of classic wine presses on the front patio- several were donated by neighbors. Inside, check out the framed photographs of the old towns of the surrounding area, and revel in the colonial heart of NJ wine country.